J.F. 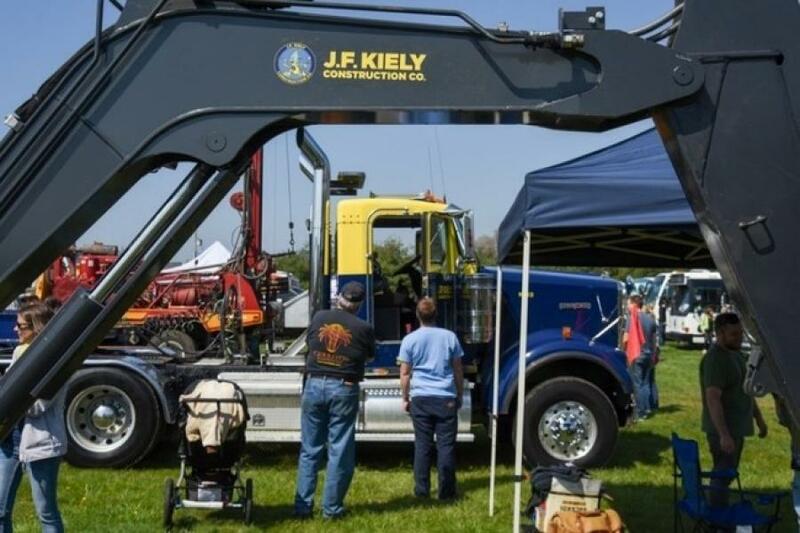 Kiely Construction Co. takes part in a variety of touch-a-truck events throughout the year in different parts of New Jersey, benefiting multiple charities and causes, and has a number of events coming up in 2019. J.F. Kiely Construction Co., a utility construction company headquartered in Long Branch, N.J., recently participated in the inaugural Diggerland Touch-A-Truck in New Berlin, N.J., and the Tinton Falls Day Touch-A-Truck in Tinton Falls, N.J. Designed to help raise money for designated charities and bring awareness within the community in which they are held, touch-a-truck events bring residents of the community together for a day of fun. As a long-time supporter of community events, J.F. Kiely Construction Co. provided a variety of their iconic blue and yellow trucks and equipment for guests to explore, providing children with an array of small toys to bring home from the event. "We know our trucks are beacons of our commitment to the communities we serve, and enjoy giving children the opportunity to get up close and personal to the vehicles they love," said John M. Kiely, president of J.F. Kiely Construction Co.
J.F. Kiely Construction Co. provides design - build projects to the natural gas, petroleum and water resources industries. Established in 1952, J.F. Kiely Construction Co. performs work for publicly traded utility companies, energy companies, municipalities and private entities throughout the Northeast. J.F. Kiely Construction Co. is part of the Kiely Family of Companies.